Trying to find an activity that interests your little one for a long period of time can be indeed very tough. However, you have to do it to keep your child constantly entertained. This Halloween cat has a startled expression on its face. Looks like it just saw something that it should not have! What could it be? Get your kid to guess while they color the page. This Halloween cat seems to have somehow got hold of its witch’s broom! This flying cat is sure to fascinate your kid! 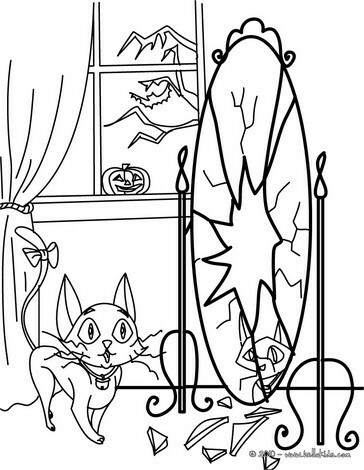 This coloring page features the Halloween cat in the manner that it is traditionally represented. This Halloween cat should be preferably colored black with yellow eyes that stand out! Here we have a very scared Halloween cat with all its fur standing out. The crescent moon in the background adds to the spooky element of this picture, a perfect Halloween themed coloring page indeed! Here is a really cute Halloween cat that is peeking out from inside a carved out pumpkin lantern. 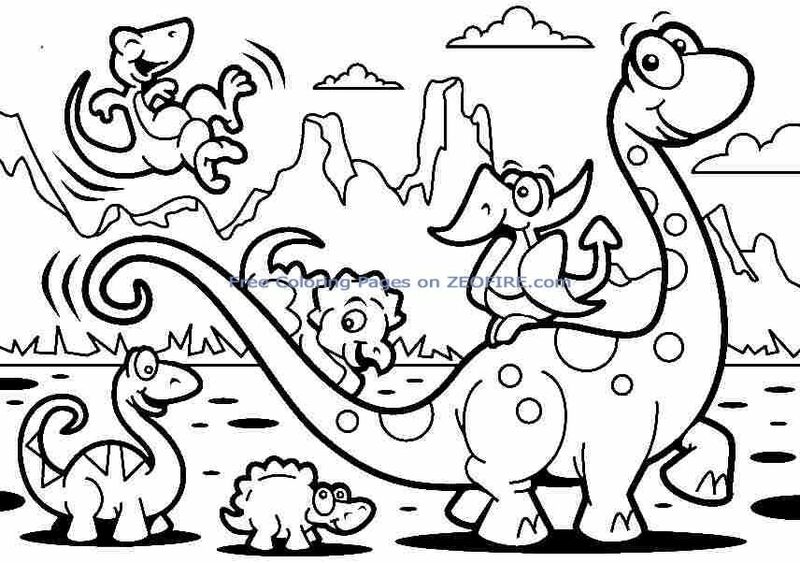 This coloring page is a really interesting one. You could follow it up by telling your kid Halloween stories! This scary looking cat with its mean looks and a long curly tail is perfectly suited for Halloween. Get your kid to color the cat in dark shades and highlight the eyes in order to truly make it look like a Halloween cat. Here you have the Halloween cat sitting with a box of candies collected during the Halloween evening. There is also a pumpkin lantern in the background that has a toothy grin! Treat your kids to some pre-Halloween candy after they finish coloring up this page in vibrant colors. Instead of turning to the idiot box for help in this matter, try to involve your kid in some simple art and craft related activities. 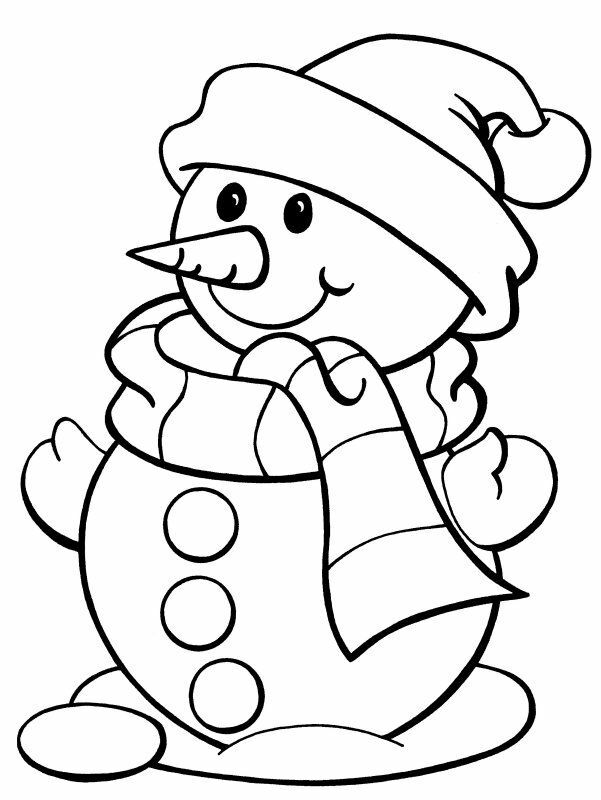 The best activity for your child that can actually help him or her build skills is coloring. 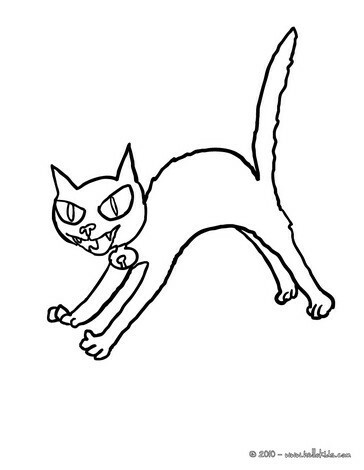 This was our collection of free printable Halloween cat coloring pages. You can create your very own set. 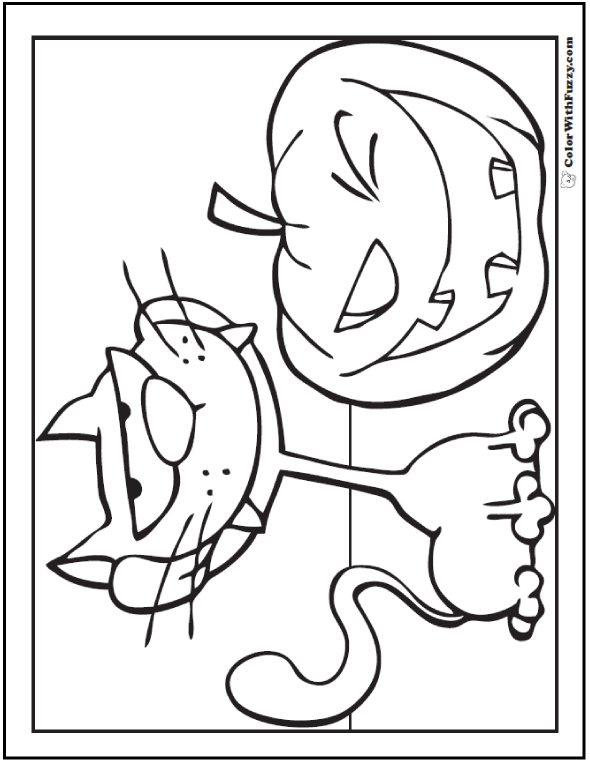 Tell us which coloring page of Halloween cat did your kid enjoyed coloring the most and shared the colored picture below in the comments box. This coloring page can double up as a Halloween poster that can be put up around the house. The page has the Halloween cat, the traditional pumpkin and the spider web with a spider dangling from it. 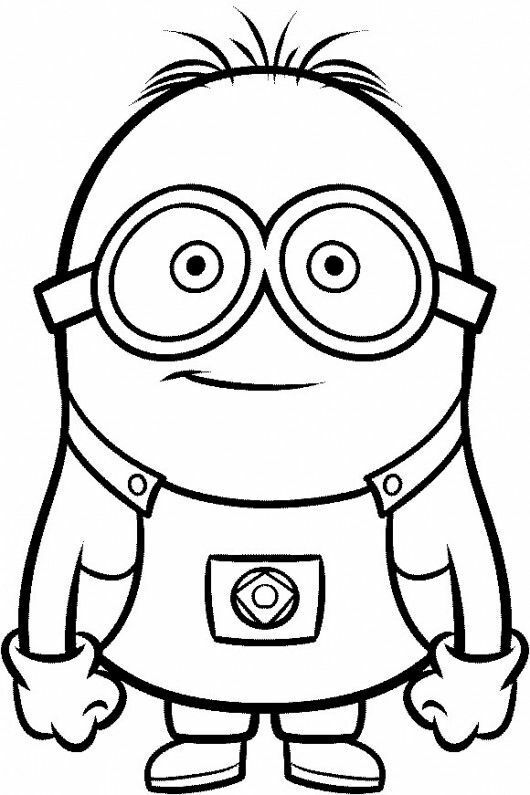 It is the perfect Halloween coloring page for your kid. Coloring is one activity that can teach your child a lot about the correct use of colors and also the coloring pages that are used can teach him other important facts. Halloween has always been associated with supernatural elements with kids dressing up as witches, ghosts and warlocks to collect candy in the neighborhood. In keeping with this tradition, here you have the cunning Halloween witch with her favorite cat for your kid to fill with colors. This is a very adorable little cat that is sitting on a pumpkin that has a wicked expression carved in it. Halloween means that there have to be cats prowling around and there have to be pumpkins carved with different kinds of expressions.